Did dreams evolve to simulate threats? Movie director Chris Nolan is famous for his unorthodox spin on thrillers ranging from “Memento” and “The Prestige” to “The Dark Knight.” Nolan’s latest movie, “Inception,” takes viewers on a sci-fi trip to a novel frontier: the visions of the sleeping mind. The cerebral adventure introduces the concept of “extraction,” where corporate thieves enter people's dreams and steal their ideas. 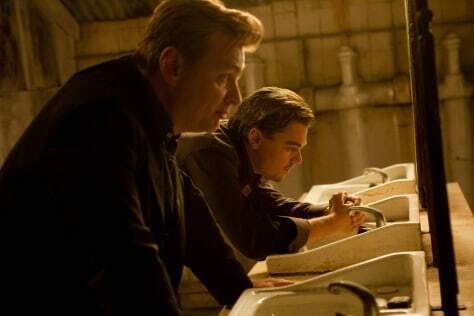 Master extractor Dom Cobb – played by Leonardo DiCaprio, shown here with Nolan on a movie set – is given the task of planting a dream instead. For extraction to be a viable means of employment for Cobb and his crew, the dreams themselves must offer up something worth stealing — personal ideas. “That’s completely on the money,” said Jayne Gackenbach, a dream researcher at Grant MacEwan University in Edmonton, Canada. In general terms, the dreaming mind’s idea-generation process is largely autobiographical. An experience during the day gets incorporated, often in a seemingly odd way, with a dream, leading the dreamer to make an association that is almost always personal. She cited a personal example: Her mother had a dream about her father, who had passed away not long before. He appeared at the foot of her mother's bed, dressed in a gray suit. "The association she made to that was before she got overweight, she loved to wear gray suits and she looked so good," Gackenbach said. "[That's] something I would have no way of knowing." The act of extraction builds on a notion that a person can be in the same dream with somebody else, as Cobb and Ariadne (Ellen Page) do here. This type of shared consciousness, Gackenbach said, is known only from anecdotes. The people most likely to report sharing dreams are identical twins, long-married couples and people who have experienced a crisis together — situations of closeness and shared experiences that prime the mind for a shared dream. "Whether that means in point of fact they are in the same dream, then you get into a whole other thing," Gackenbach said. "I'm not saying it's not a legitimate area of inquiry. It is, but it certainly has not been proven." 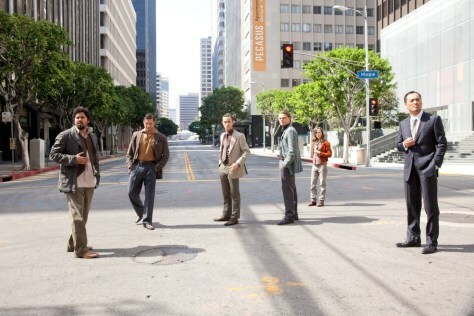 Cobb's job in “Inception” is to do the opposite of extraction: He is given the task of planting a dream in the mind of Robert Fisher (Cillian Murphy). Gackenbach said this is something that people and dream researchers do on a regular basis, though not necessarily with so much Hollywood glitz. For example, a person considering a job choice might seek guidance from their deep subconscious. To do so, Gackenbach said, the first step is to clear the mind of excess dream material by writing down anything emotional that occurred in the last few days. This relieves the mind of needing to process that information while asleep. "Then, as you go to sleep, you ask the question that you want answered in your dream," she said. "And, of course, it is important to write the dream down to see if there is some information. Sometimes it will be very direct, sometimes it will be obfuscated." Note to students: Take a power nap before the final exam and dream about the class material. The approach could lead to significantly higher test scores than the results achieved by non-napping and non-dreaming classmates, according to researchers at Harvard Medical School. In a study, the researchers taught students to navigate a three-dimensional maze and then let some of the students take a two-hour nap before a test on the maze. Though not everyone who took a nap dreamed of the maze, those who did performed better on the test than the non-maze dreamers and the students who stayed awake and kept rehearsing the maze. "We think that the dreams are a marker that the brain is working on the same problem at many levels," study author Robert Stickgold said. "The dreams might reflect the brain's attempt to find associations for the memories that could make them more useful in the future." 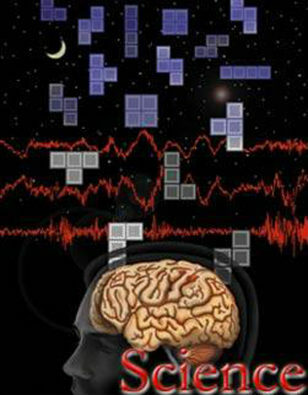 Research that planted dreams with the aid of the video game “Tetris” helped scientists build the case for how dreams are constructed. In this study, the Harvard dream researcher Stickgold had people play “Tetris” for several hours each before nodding off to sleep. The experimental group included amnesiacs – people who lack the ability to recall so-called declarative memories stored in the hippocampus part of the brain. 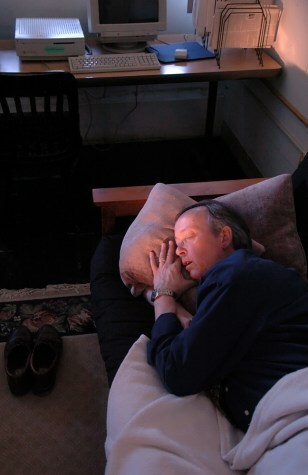 Both amnesiacs and non-amnesiacs reported seeing the game’s falling, rotating blocks as they fell asleep. The finding, reported in the journal Science, suggests that dreams come from the parts of the brain responsible for implicit memories — such as being able to ride a bike after years without getting on one. That’s a type of memory that amnesiacs do have. The study thus confirmed scientists’ suspicions that implicit rather than declarative memories were involved in assembling the mind’s raw material into dreams. Dream control – the ability to actively influence the course of dreams – may be a useful skill to help people cope with nightmares, according to Gackenbach, whose research shows that hard-core video gamers are particularly adept at dream control. Video games, she notes, are an alternate reality similar to the dreamscape. "It is not a big leap then, if you are suddenly in a dream and some monster is chasing you, that you turn and fight back and think it is a hoot," she said. The ability to fight the monster – and have fun doing it – offers protection in the dreamscape that would otherwise send the dreamer running away screaming and scared. Gackenbach's current research is exploring whether the link between video games and dream control can help members of the military who suffer nightmares associated with post-traumatic stress disorder. Dreams may indeed play a role in helping the dreamers deal with nightmarish threats, according Antti Revonsuo, a psychologist at the University of Turku in Finland. 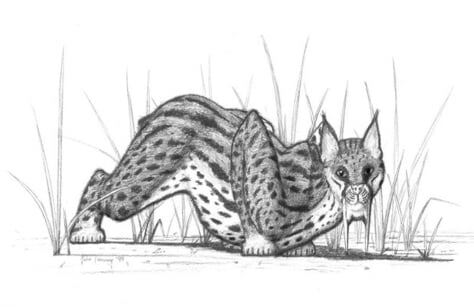 His threat simulation theory proposes that nightmares about attacks by saber-toothed cats gave our early ancestors an opportunity to practice how to survive a real-world encounter. 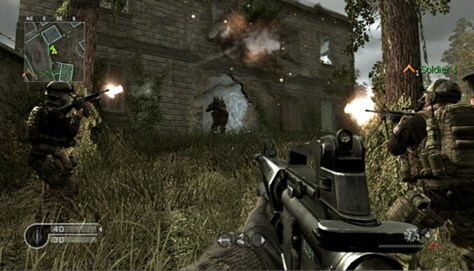 Gackenbach's research suggests that video games, which are ubiquitous in some modern cultures, may be fulfilling the need for threat simulation, causing our dreams to evolve. "Even the way in which the gamer would tell the [threatening] dream wouldn't necessarily have 'Oh my gosh, I'm so scared,'" she said. "It would be, 'Oh my gosh, it was so exciting.'"